Is it only me that feel cheerfully when the spring season certainly has approached after the Vernal Equinox Day? FOET which is a refresher course of BOSIET has been held on March 22. It was 14th FOET course of this fiscal year as we had some additional requested FOET training aside from 11 scheduled training. Some of the delegates were 4 years to the day since had taken training, and the other was repeated delegate who had taken another course here in NSTC last year. The training went very smoothly and we couldn’t see any long absence of the training in their movement. Here is a comment from one of the delegates. We welcomed overseas delegate this time. We had an interpreter side by side all the time and English text book for the training. We would like to review the necessity of the English/Japanese slide for the future. 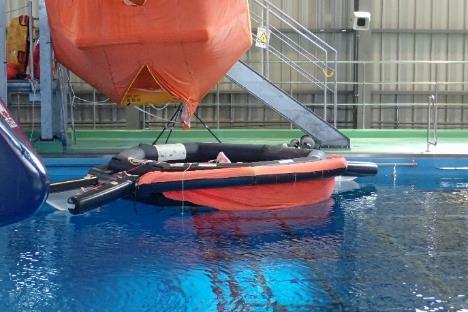 And now, for something completely different, our aviation liferaft is going to retire. She has supported our training for about 5 years. She has revived many times just like a phoenix from the fatal defect, even though it suffered a long-term deterioration. Now, it’s time to give way to the new liferaft. 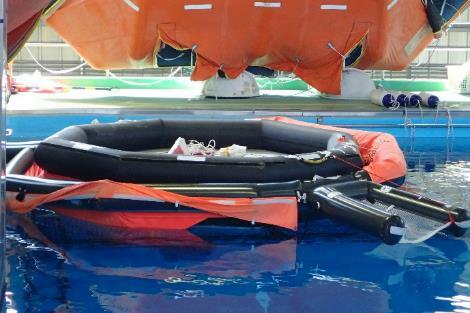 An aviation liferaft which supported our training for long time. A new liferaft will make her debut next week. Flowering day of the cherry blossom has been declared all around in Japan, flowering of Tulip in a flower bed of NSTC also must be announced. Our first Tulip has just been in bloom. 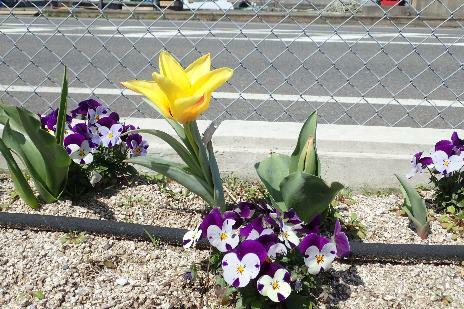 It will be full bloom in the middle of April. Please come and see our Tulip!